Though they're only a few years old, the Redcliffe Jetty Markets are already quite big. 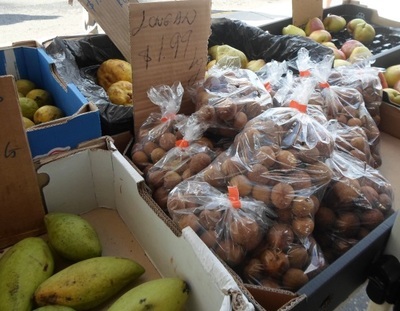 They are very kid-friendly too, yet still have produce that makes it worth a visit for parents, like fresh fruit and vegetables. 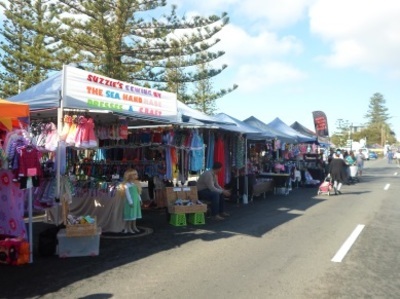 You can find the markets along Anzac Parade Parklands on the foreshore in Redcliffe every Sunday from 8.00am until 2.00pm. A few of the streets in the area are closed to traffic during their duration. Products on offer at the markets include all the usual things, like clothes, jewellery, children's toys. There's plenty of food stands and the cafes along the side of the road are an extra option for breakfast or lunch. Live music is another thing on offer. 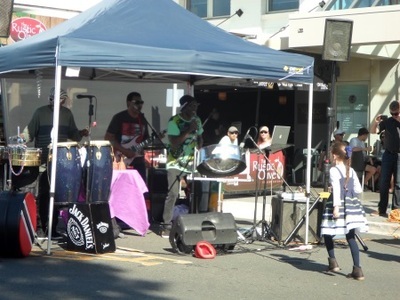 In fact, the markets feature different artists every week. 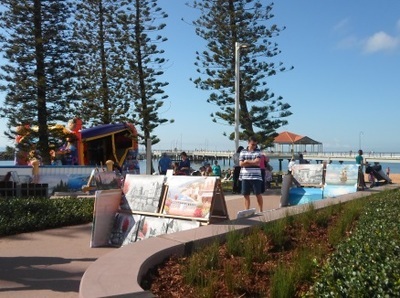 While you're here, you should also take a walk out on the Redcliffe Jetty and enjoy the beach-side setting. If it's hot, you can even head to the beach, or down to Settlement Cove for a swim. Popular Suttons Beach is just round the corner too. 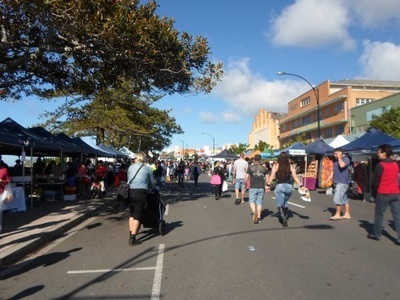 Other markets in the area with a similar atmosphere include the Caloundra Street Fair and the Cotton Tree Markets.